Are you ready to take on one of the most scenic and spectator friendly triathlon courses in North Idaho?! 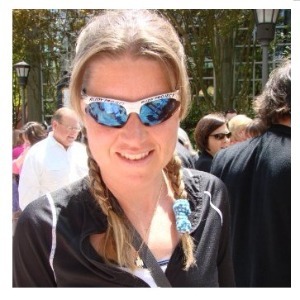 If so, then you are going to love this 16-week Ironman 70.3 Coeur d'Alene training plan from Ironman Certified Coach and 8x Kona finisher, Wendy Mader! In addition to 16 detailed weeks of course-specific swimming, biking and running workouts as well as strength training exercises, we also include swim, bike and run course preview videos with Coach Wendy. We spend more than 45 minutes going over the course layout, race strategy, and coaching tips so you know exactly what to expect and how to successfully navigate not only the course but also the transitions. Our instructional videos don't stop with our exclusive course previews. We also include personalized instructional videos before every 4-week training block. You'll be able to see and hear coach Wendy explaining how each training block is organized and structured. This program goes beyond numbers on a spreadsheet. It's a multimedia approach along with links to drills, heart rate and pace training so you know the purpose and effort of each workout. This program is designed with both beginners and intermediate athletes in mind. It's time vs. distance based. Before you start this program, you'll need to be comfortable swimming 1500 yards, biking for at least an hour and running for 45 minutes. If you can do all that, you'll do great with this plan. The goal of this program is to increase your weekly volume (time/distance) with added race specific intensity. The first 4-week phase is your preparation phase. The second 4-week phase continues to build strength and volume. The end of phase two includes the option of adding an event or race simulation. The third training blocks moves into race specific volume and intensity; we call this your competitive phase. The final 4-weeks takes you through a gradual taper to ensure you are recovered and ready to finish healthy and strong! So, are you ready to rock and roll!? MS: 6X 200 zone 2, RI 20"